Bahcecioglu Z., Berndt R. & Kabaktepe S. (2009) Puccinia ardahanensis sp. 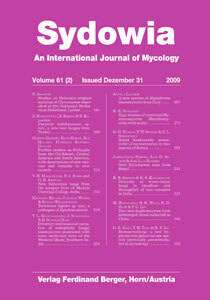 nov., a new rust fungus from Turkey. Puccinia ardahanensis sp. nov. found on Veronica armena in Turkey, is described, illustrated and discussed. Keywords: Uredinales, Puccinia, new species, Turkey, Veronica.